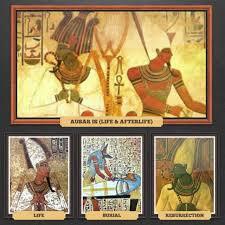 The netert Seshat is well described in numerous titles that ascribe two main types of activities to her. In Kemet, she wasThe Enumerator, Lady of Writing(s), Scribe, Head of the House of the Divine Books (Archives). The other aspect of Seshat is as the Lady of Builders. 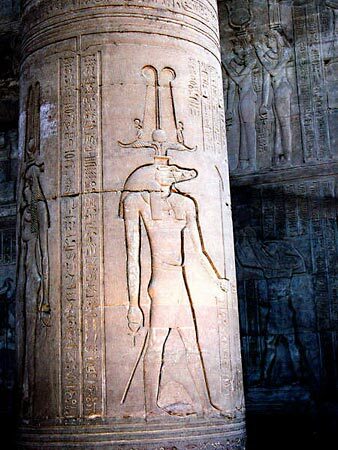 The divine significance of numbers is personified by Seshat, The Enumerator. The Arthaśāstra is an Indian treatise on statecraft, economic policy and military strategy. The author of the Arthashastra refers to himself as ‘Kautilya’, while the last verse mentions the name ‘Vishnupgupta’. Many scholars believe that the former was the gotra of the author, while the latter was his personal name. Most scholars, though not all, also believe that these names refer to Chāṇakya (c. 350–283 BCE), who was a scholar at Takshashila and the teacher and guardian of Emperor Chandragupta Maurya, the founder of Mauryan Empire. Thus, the Arthasastra is dated 4th century BCE. Your nature is unconquerable peace, therefore nothing or no one in the world can face you. All experiences come to you to promote your reclamation of peace, that you may in turn acquire wisdom and spiritual power. Reasoning: If attaining our natural state of peace in situations of challenge enhances our intuition and spiritual strength, then we should not label situations of challenge as detrimental to our being. If a bad event cannot be avoided, what is the point of allowing it to degrade us, when it can be used for enhancement by manifesting the proper attitude? 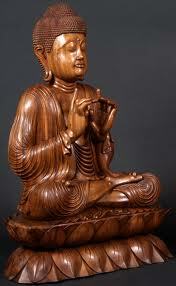 This Principle embodies the truth that “All is Mind.” It explains that THE ALL (which is the Substantial Reality underlying all the outward manifestations and appearances which we know under the terms of “The Material Universe”; the “Phenomena of Life”; “Matter”; “Energy”; and, in short, all that is apparent to our material senses) is SPIRIT, which in itself is UNKNOWABLE and UNDEFINABLE, but which may be considered and thought of as AN UNIVERSAL, INFINITE, LIVING MIND. The twelve links of dependent origination, are the twelve nidanas in the chain of the causation of samsara. 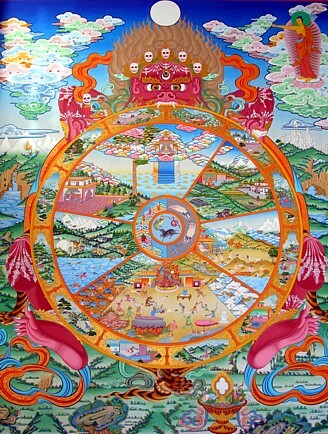 The twelve nidanas are usually depicted in Tibetan Thankas as the ‘Wheel of Life’ drawn with twelve scenes forming a circle. In the center of the circle, passion, aggression and ignorance, usually depicted by a chicken, snake and a pig respectively, represent the basic pull-push-ignore dynamic intrinsic of a dualistic ‘I’ and ‘other‘ relationship. As the ego and its projections need constant maintenance, the nidanas constantly spin. 1) Self-salvation is for any man the immediate task. If a man lay wounded by a poisoned arrow he would not delay extraction by demanding details of the man who shot it or the length and make of the arrow. There will be time for ever-increasing understanding of the Teaching during the treading of the Way. Meanwhile, begin now by facing life as it is, learning always by direct and personal experience.